CMG has been pretty busy over the last few months putting together a series of talks and interviews to host on the main stage at the upcoming Toronto Motorcycle Show. Yes, we’ve heard it, the stage that no-one goes to? Yessir, that very stage, but for a few years now we’ve pondered why a series of interviews with some pretty interesting Canadian motorcycle icons has garnered so little interest from show goers. 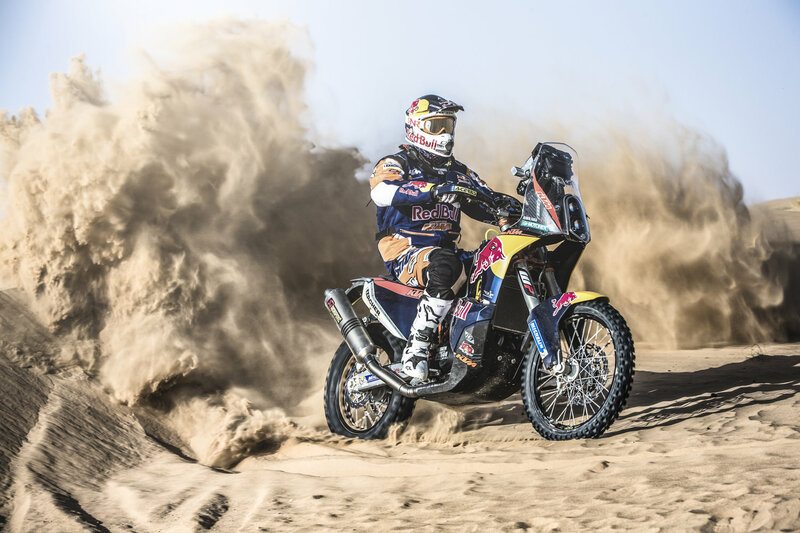 The Dakar rally is probably the toughest thing you can do on two wheels. What we figured is that they would benefit from a focus and a publicity push so we’re putting or money where our mouth is (so to say) and have put together a series of talks based around the adventure riding community. We’ve got quite the group of people to present and interview too from Grant and Susan Johnson of Horizons Unlimited to world traveler authors Rene Cormier and Jeremy Kroeker and Dakar rallyists Bob Bergman and Lawrence Hacking, to name but a few. It should be quite the show but we need CMGers to attend to make it really work. We need to be able to show the show organizers that there is a demand for something like this as we really want to make this a regular event with more diverse topics and presentations. You never know where your next trip can take you! Photo courtesy of Rene Cormier. This year the show is at a new location and the organizers have given the stage more seating capacity and have promised to make it more of a feature of the show, so if we can convince the audience to come out then we should have a winner. Okay, maybe it’s not an idea that can actually work. Maybe people only want to go to the show to look at the new bikes and buy expensive pizza, but we won’t know until we try will we? So please, join Frank Wood and myself at the main stage on any of the three days of the show from 3:00 till 4:30 as we present CMG’s Spirit of Adventure. Hey, they will be prizes to be won too and hopefully you’ll go away entertained and ready to plan that next big trip of the summer. So check out the list of presenters and panelists below and we’ll see you at the show! A series of presentations and discussions about riding to, on and beyond the edge brought to you by the Canada Moto Guide. Planning – how much is enough? The discussion will be followed with a short Q&A session with the audience (there will be copies of Horizons Unlimited’s Achievable Dream, and Road Heroes to be won so please don’t be shy to ask any questions). Have you ever dreamed of riding a bike around the world, or maybe from the North to the end of the Americas, or just an extended adventure beyond your regular tour? Join Canada’s foremost adventure riders Rene Cormier and Grant & Susan Johnson (Friday) and Warren Milner, Jeremy Kroeker and Chantal Cournoyer (Sunday), who will chat about their riding adventures. The discussions will be followed by a short Q&A session with the audience. 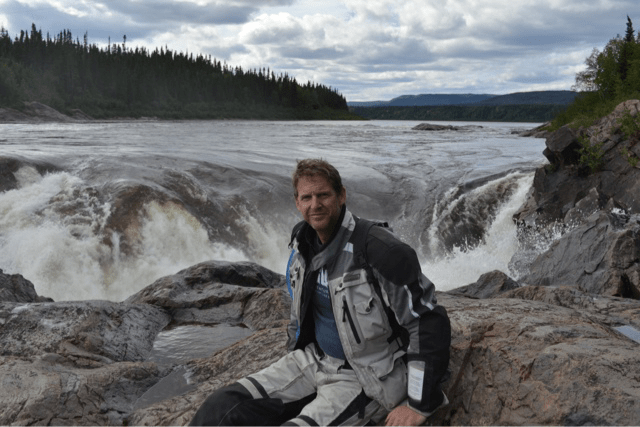 Join us for a slide show presentation and chat by Rene Cormier who left his home in Edmonton for a multiyear adventure around the world on his BMW F650GS. The chat will be followed by a Q&A and the chance to win a signed copy of Rene’s book about his adventures; The University of Gravel Roads. A discussion about the legendary Dakar off-road rally with two of Canada’s finishing entries; Lawrence Hacking and Bob Bergman as well Rally Connex’s Kevin Burnet, organizer of the Dakar homage rally; Ontario’s Dacre Rally. Followed with a short Q&A session with the audience. Fifty Years of Kicks by Dallas Shannon and Anthony Kerr, is a 20 minute documentary featuring Paul Rodden and Larry Murray; two experienced motorcycle riders who continue to do what they love — despite age and health issues — riding off road. The Labrador Highway by Terry Burt is a 15 minute documentary about his trip last year to ride the Labrador Highway before it was to be paved. 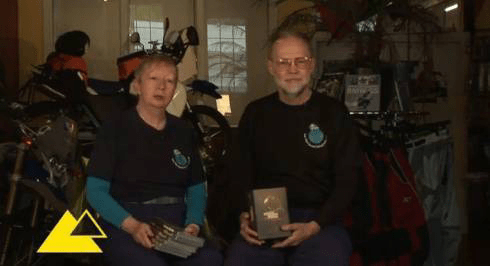 Grant and Susan Johnson are icons in the round-the-world (RTW) motorcycling community and spent 11 years travelling around the world, from 1987 to 1998, eventually reaching over 50 countries, and every continent including Antarctica. 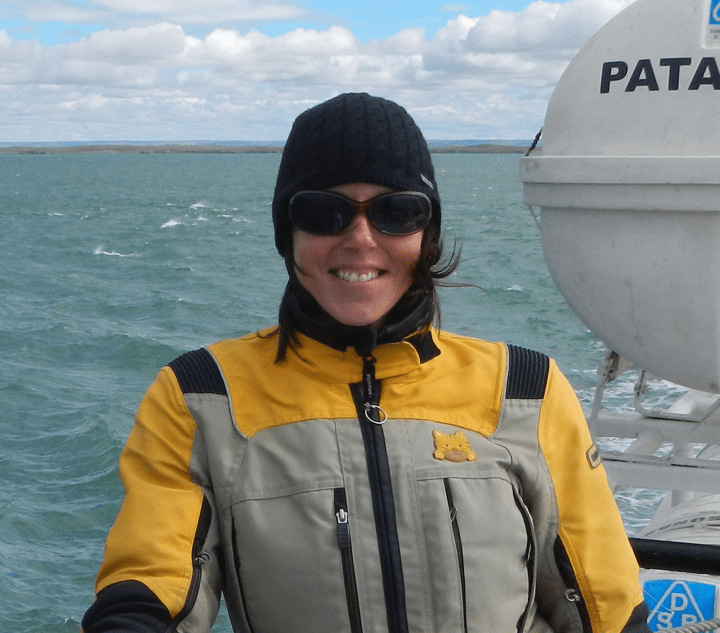 On their trip, while in Ushuaia, Argentina, waiting for the boat to take them to Antarctica, they posted the story of their travels on the then new internet. Their story quickly attracted people from all over the world, and within two years the site was a global phenomenon, reaching travel-minded people in over 150 countries. Since then, Horizons Unlimited has become the global home for overland travelers. HU aims to inspire, inform and connect overland travelers, who come from every walk of life and economic bracket, ranging from 18 year olds with no money traveling on a shoestring, to retired – and very well off – lawyers and doctors etc. All are excited about travel to distant places, wanting to experience the world and the amazing people in it first-hand. One day Rene Cormier was in a crowded bus in Africa and as he peered out of the dusty window he saw a group of adventure motorcyclist blast past. That, he thought to himself, was how you really want to travel around the world. Shortly after, Rene cashed in his physical world to finance a nearly five-year, mostly solo, unsupported, and non-sponsored 154,000 km ride around the world on a new BMW F650GS Dakar and a budget of $25/day. The trip was broken into two parts; the Americas and the rest of the world, with a break in between which is where CMG first met Rene at the Calgary Motorcycle Show, agreeing to post monthly updates of this epic adventure. The travelogue of that ride, “The University of Gravel Roads” won the Bronze medal in the 2010 Independent Book Publishers awards, the 2010 da Vinci Eye award, and a finalist in the Eric Hoffer Award for Short Prose and Literature. 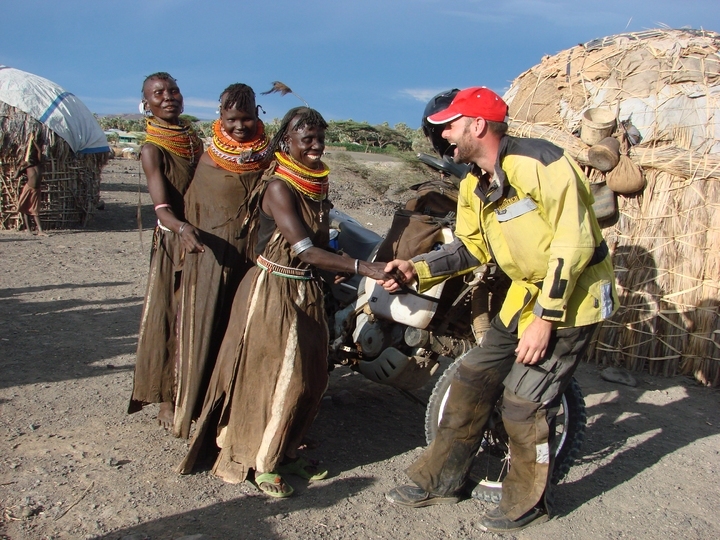 2010 also saw the first groups arriving in Africa to ride with Rene and Renedian Adventures which now offers 6 trips throughout the year. 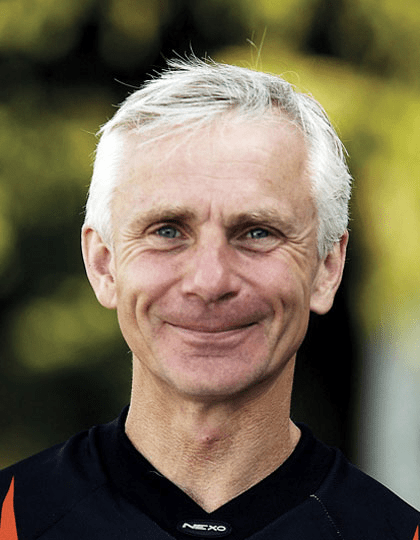 In 2012 Rene joined the Ted Simon Foundation’s Committee of Advisers to encourage and assist travellers in making an extra effort to develop their observations and insights into something of value for the rest of the world to share. Warren started his adventurous life on the race track, becoming the Canadian 600 Roadrace Champion back in 1982. After that he joined the corporate motorcycle world, taking a job at Honda Canada where he worked for close to 30 years as (amoungst other things) a product tester, developer and planner (giving him a good understanding of how bikes work and why they are designed the way they are). Since retiring Warren has taken to a life of motorcycle adventure travel with long and extensive trips throughout North America including every US state, every Canadian province and territory, as well as through Mexico (where his group survived a gun attach from local bandits). His done the Dempster, the Dalton, the Trans Labrador the Trans Taiga, some of the Trans America Trail and the Continental Divide Trail too. More far flung adventures include Japan, Jamaica, Trinidad and Guyana as well as Chile, Peru and most of central Europe. Warren also writes about his journeys and doubles up as product tester on CMG (time allowing). 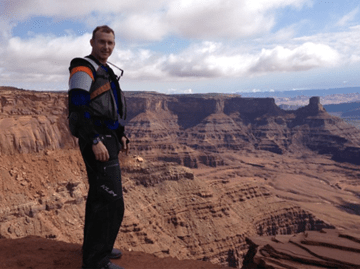 A freelance writer, speaker, and the award-winning author of “Motorcycle Therapy,” and “Through Dust and Darkness”, Jeremy has traveled to over 30 countries while managing to do at least one outrageously stupid thing in every one. He has evaded police in Egypt, tasted teargas in Israel, scrambled through minefields in Bosnia and Lebanon, and wrangled a venomous snake in Austria. One time he got a sliver in El Salvador. Chantal started her riding career on a Harley, but after working at Moto Internationale in Montreal, she got the adventure bug after being involved with the local GS Challenge event and eventually bought a BMW R1200GS for touring and a KTM 350 to have fun in the trails. She’s also one of the two first Canadians (with Stephanie Chagnon) to have completed the Roses des Sables Trophy Rally in Morocco on a BMW 450X. Last year she quit her job to ride from her home in Montreal to Alaska and then on down to Ushuaia at the tip of South America with her husband Jean. The trip took them nine months and covered 53,000 km. 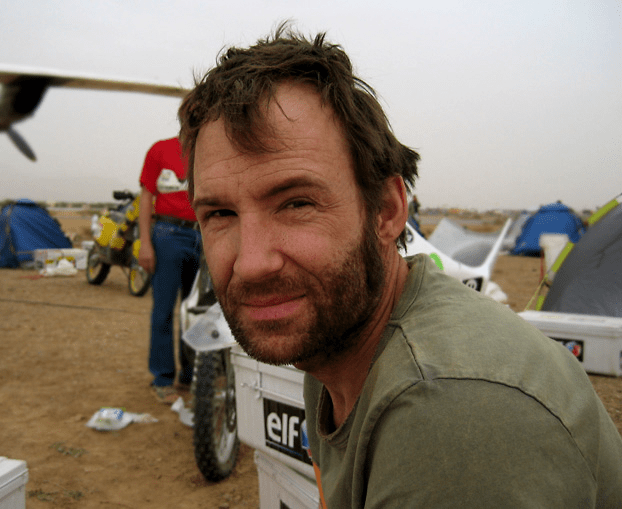 The first Canadian to complete and finish the Dakar Rally back in 2001, Lawrence Hacking is synonymous with the sport of off-road riding and has competed in rallies in Mongolia and Japan. His Dakar adventures were covered in his book To Dakar and Back: 21 Days Across North Africa by Motorcycle. Last year he started a new adventure rally in Ontario called the Overland Adventure Rally, which is set to return in 2014 on the weekend of July 11-13. Like many Canadian kids, Bob grew up playing hockey. At 17, three pivotal things happened: He quit hockey; he left high school; and he rode his first motorcycle. Before long he had started to race. Within a few years he was in the top ten in Pro Superbike class and was trying his luck at some AMA Superbike rounds, including the Daytona 200. 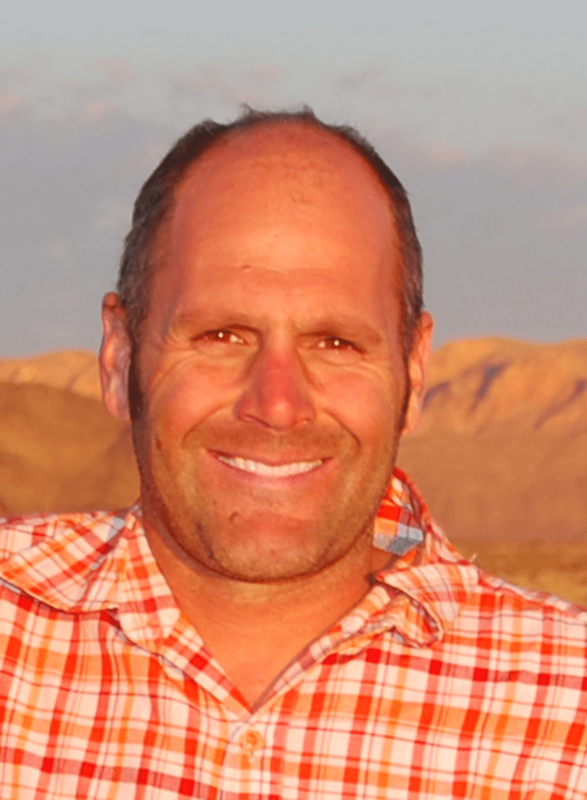 Before long Bob discovered the Dakar rally and in 2003 he purchased a KTM 640 Adventure and shipped it to Africa for a three month adventure with his wife, navigating a Paris to Dakar route of their own. This just confirmed that he had to do the Dakar Rally himself and in 2005 he found himself at the start line in Barcelona. The 2005 rally will be remembered as one of the most technically challenging and tragic rallies in the event’s history. Two riders were killed, one of them a former champion of the Dakar and rally legend, Fabrizio Meoni with fewer than half the riders actually crossing the finish line, Bob being one of them. Bob’s epic diary of his rally was serialized in CMG and can be read here. Kevin is two-time Ontario enduro champion and the owner of Rally Connex, an Ontario based company that organizes dual sport events using pre-routed GPS trails through various locations across Ontario. Once every two years they host the ‘Dacre Rally’ which is a homage to the Dakar rally and sends competitors through a gruelling 800+ km road and off-road course for 16 or so hours, finishing in the small village of Dacre, Ontario. Unlike the Dakar rally everyone can go home after and not have to ride for another two weeks of the same stuff. CMG attempted to complete the Dacre rally three times, and predictably failed each time. Laugh at our pitiful attempts here, here and (said isn’t it) here. 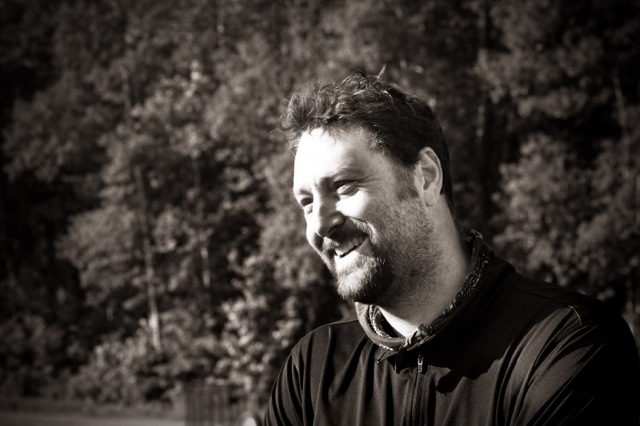 Anthony is a freelance photographer and graphic designer based in Montreal, Quebec. He runs the Motojournalism.com website where he teaches the practicalities and techniques of motorcycle travel photography. 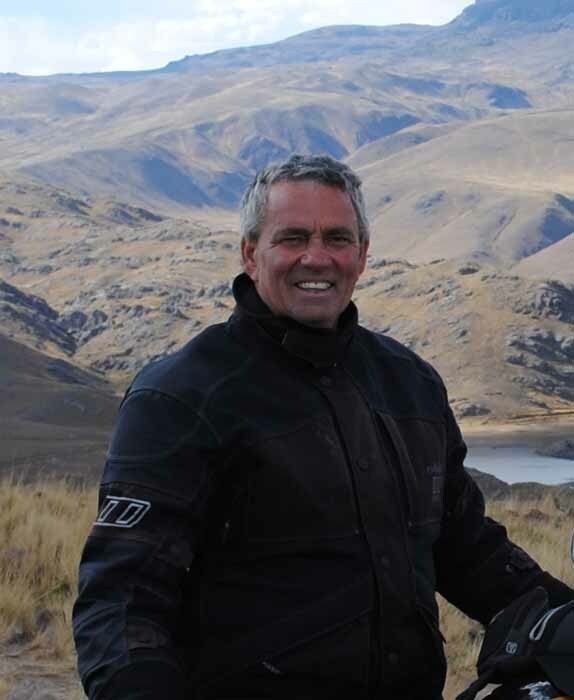 He has been a guest speaker at motorcycle travel rallies in the United States and Canada, presenting his experiences of motorcycling solo through Mexico and Central America. Dallas is involved in freelance marketing and social media contracts and independently publishes the Traction eRag, a web-based off-road motorcycle magazine. 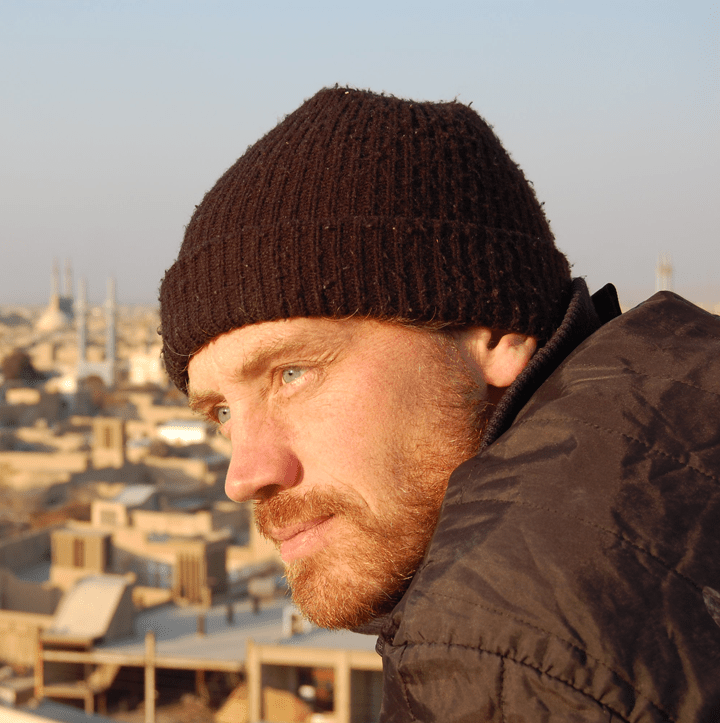 He has extensive experience in print and online publishing and has also worked in radio. Dallas understands both the logistics and financials of complex media projects, and is well versed in sponsorship, advertising and revenue generation. Pilot and “wannabe amateur film maker” Terry Burt teamed up with good friend Peter Oxley to ride the Trans Lab highway and document their adventure in a series of web shows. 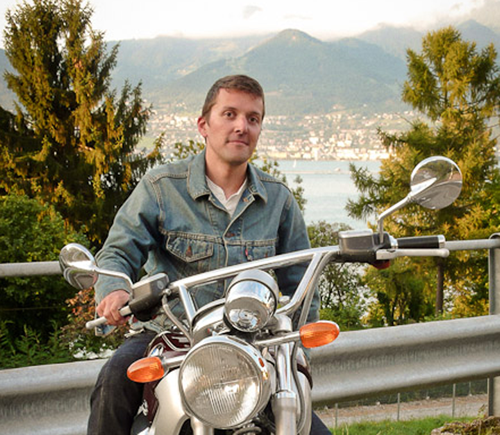 His next project is to fulfill a dream of riding motorcycles across Canada to some out of the way and unusual places.